One of the world’s greatest cathedrals has proven it’s green – not grim – up north. Located on one of the most significant Christian sites in Europe, York Minster has scooped a new environmental award. Constantine was proclaimed Emperor while visiting the city in the fourth century. 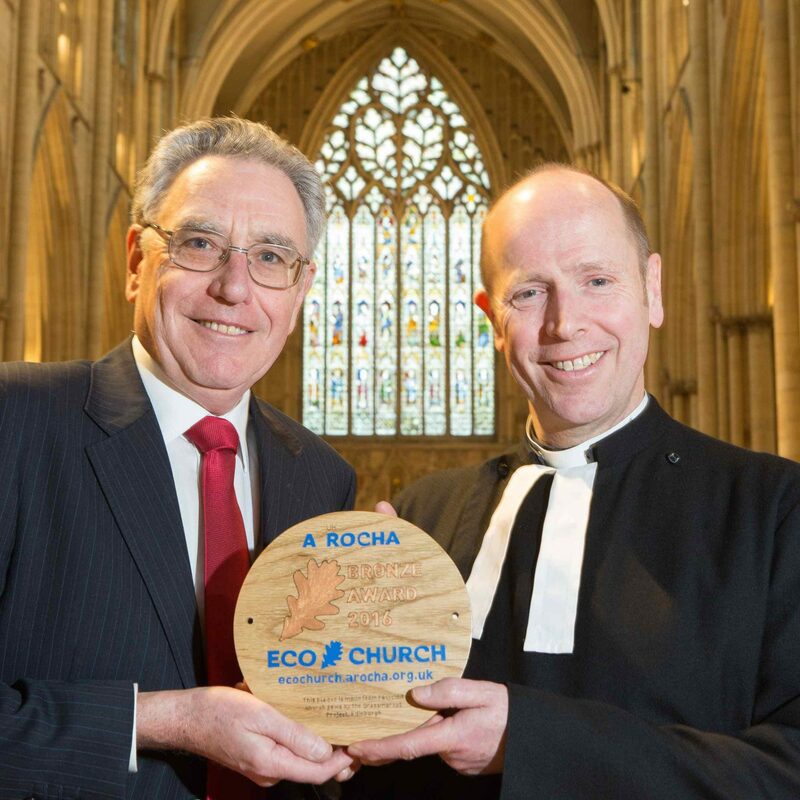 And now in the 21st century, A Rocha UK Chair Steve Hughes has proclaimed York Minster an Eco Church Bronze Award winner! Steve presented the honour to York Minster at their main service on Easter Sunday – hot on the heels of St Paul’s Cathedral receiving their Eco Church Bronze award in January. Nearly 2,000 worshippers heard about the scheme and how York Minster took part.